Iraqi militias are recruiting children from camps for civilians displaced by conflict ahead of the long-awaited operation to retake militant-held Mosul, according to a report from Human Rights Watch Tuesday. Citing testimony from witnesses and relatives, HRW said two tribal militias in the Kurdish region of Iraq recruited children from a camp south of Irbil and drove them away to a town near Mosul. The group said the recruits are intended to reinforce frontline positions against the Islamic State group in Nineveh province, where Mosul is located. IS uses children as both frontline fighters and suicide bombers in Iraq and Syria. The group maintains an army of child soldiers, which it calls "cubs of the caliphate." Islamic State videos have shown boys killing IS opponents through beheadings and shootings. territory IS holds in the country. Operation Inherent Resolve, the US-led air campaign against ISIS in Iraq and Syria, continued throughout August, as strikes hit ISIS infrastructure and fighting positions in northern Iraq. The strikes come as the effort to retake Mosul, currently the largest city held by ISIS, continues apace. In the GIF below, airstrikes level what the US government referred to as a vehicle-borne improvised-explosive-device factory near Mosul on August 25. The footage was released nearly three weeks after another video showed US-led strikes hitting an ISIS fighting position about 30 miles south of Mosul. The US-led coalition has hit ISIS targets from the air for much of the last two months, as Iraqi Security Forces work on the ground to retake ISIS-held territory. In Baghdad, however, political wrangling and accusations of corruption in the Iraqi parliament led to Defense Minister Khaled al-Obeidi — who oversaw many of the Iraqi military's recent successes against the terrorist group — being forced out by a no-confidence vote on August 25. Ministry of Defense spokesman Brig. Gen. Yahya Rasool, speaking from the new frontline some 40 miles from Mosul, said "the fighters and officers are frustrated that the defense minister was sacked in this way," according to Haaretz. But, Rasool added, "despite the frustration we will continue to fight and expel Daesh." Despite those tensions, the US military said on Tuesday that Iraqi forces were on track to retake Mosul by the end of this year. "It's the prime minister's objective to have that done by the end of the year," said Gen. Joseph Votel, who oversees US forces in the Middle East, according to Reuters. "My assessment is that we can meet the ... prime minister's objectives, if that's what he chooses to do." Despite numerous reductions throughout, the document gives the fullest public account of the CIA’s role in the Watergate scandal. Its pages contain the revelation that one of the men arrested in the early hours of June 17, 1972, was an active CIA agent. The man, Eugenio R. Martinez, has been previously identified as an “informant” of the CIA —a term referring to an occasional source. But the newly released document refers to Martinez as an agent —an individual who is actively recruited and trained by a CIA officer acting as a handler. It also states that Martinez was on the payroll of the agency at the time of his arrest, making approximately $600 per month working for the CIA. Additionally, Martinez, a Cuban who had participated in the Bay of Pigs invasion, retained his contacts with the CIA and kept the agency updated about the burglary, his arrest and the ensuing criminal investigation. Is ISIS turning to more child bombers? As the self-declared Islamic State (ISIS) has lost stretches of territory in Iraq and Syria and tens of thousands of fighters, it is relying more on child bombers. On Sunday, security forces apprehended a 16-year-old with two kilograms of explosives underneath his Barcelona soccer jersey in the Iraqi city of Kirkuk. Earlier that day, a suicide bomber of about the same age killed themselves and six others outside a Shiite mosque in the northern Iraqi city. ISIS’s increasing deployment of children is a shift in tactics, relying on this destructive and psychological warfare as it loses fighters and territory in Iraq and Syria. "Child recruitment across the region is increasing," Juliette Touma, a UNICEF regional spokesperson, told Reuters. "Children are taking a much more active role ..., receiving training on the use of heavy weapons, manning checkpoints on the front lines, being used as snipers and in extreme cases being used as suicide bombers." The Islamic State does not reveal the age of its operatives when it claims responsibility for bombings, according to The Washington Post. But, security forces are identifying an increasing number of children as bombers, since it’s easier for them to move throughout Iraq compared with young men of fighting age. Among the most deadly attacks was at a youth soccer match in the southern Iraqi village of Asriya south of Baghdad in March. A suicide bomber who appeared no older than 15 or 16 struck during a trophy ceremony after the game. Forty-three people were killed, many of them children. In Turkey, President Recep Tayyip Erdoğan said the bomber that struck a Kurdish wedding as guests were on the dance floor Saturday was no older than 14. Prime Minister Binali Yildirim has backed way from those comments. He said Monday it was too early to know who carried out the attack. But witnesses said the bomber was a child, which would make it the first time the Islamic State militants have used a child bomber in that country. Al Qaeda in Iraq (AQI), the Islamic State's predecessor led by Abu Musab al-Zarqawi, used teenagers as suicide bombers in fighting the American occupation there. Through its “cubs of the caliphate” army of child soldiers, the Islamic State has borrowed those tactics. Researchers and officials told Reuters they are perhaps using children to build ranks depleted by losses, to preserve adult fighters, or simply to catch security forces off guard. This comes as the United States has said the Islamic State is losing. It said the extremist group has lost as much as 47 percent of its territory in Iraq and 20 percent in Syria, according to testimony by Brett McGurk, the State Department’s point person on the Islamic State, to the Senate Foreign Relations Committee on June 28. And since the US started to lead airstrikes against the Islamic State two years ago, 45,000 IS fighters have been killed, said Lt. Gen. Sean MacFarland in a news briefing Aug. 10. Hisham Al-Hashimi, an analyst and author who advises the Iraqi government on Islamic State, said that the group has reacted to these losses by reactivating its Heaven's Youth Brigade. "Teenagers are easier to recruit for suicide missions, especially in moments of suffering or despair having lost loved ones," he said. "They also attract less attention and less suspicion than male adults." Though the deployment of more child soldiers could be perceived as a desperate act, it can also be morally defeating, according to a study the Combating Terrorism Center at West Point military academy published in February. “They represent an effective form of psychological warfare – to project strength, pierce defenses, and strike fear into enemy soldiers’ hearts,” reads the study. The study examined IS propaganda on child and youth “martyrs” between January 2015 and 2016. It found three times as many suicide operations involving children over the year. Experts say the Istanbul strike is proof that the organization can adapt and mutate into a more traditional terrorist group. In a rare message last month, IS spokesman Abu Mohammed al-Adnani signaled just such a shift in strategy. A new weapon has been deployed in the fight against the Islamic State in Libya: the AH-1W SuperCobra, the Marines' twin-engine attack helicopter. SuperCobra gunships attached to the 22nd Marine Expeditionary Unit began supporting precision airstrikes against Islamic State targets in Sirte, Libya, within the past few days, a spokesman for U.S. Africa Command, Charles Prichard, told Military.com. The news was first reported by Military Times. The attack helicopters, attached to Marine Medium Tiltrotor Squadron 264 (Reinforced) aboard the amphibious assault ship USS Wasp, have joined efforts with Marine AV-8B Harriers to prosecute the airstrikes, which began Aug. 1 at the request of the Libyan Government of National Accord, a U.S. effort known as Operation Odyssey Lightning. "We have a range of capabilities at various locations in the region that will allow us to carry out these airstrikes," Prichard said in an email to Military.com. "The AH-1 Cobras provide precision airstrike capability and close air support to better enable [Libyan government] ground objectives." Prichard said he could not go into further detail about why the attack choppers had been called in to support this particular mission for operational security reasons. Since the first of the month, U.S. forces have completed 77 airstrikes in support of the Libyan government's fight against Islamic State militants, Prichard said. Both manned and unmanned assets, including Marine Harriers and Cobras, have been used in the strikes. On Monday alone, three airstrikes wiped out a supply truck and 10 enemy fighting positions belonging to the Islamic State in Iraq and Syria, or ISIS, also known as Daesh, according to an AFRICOM news release published today. "The U.S. stands with the international community in supporting the GNA as it strives to restore stability and security to Libya," AFRICOM officials said in the statement. "These actions, and those we have taken previously, will help deny Daesh a safe haven in Libya from which it could attack the United States and our allies." Libyan ground forces in recent weeks have made advances in reclaiming the Islamic State-held city of Sirte following a three-month offensive that began in May. Air strikes maintained intensity as Libyan forces gain ground; since Aug. 14, U.S. forces have carried out 29 strikes, more than three per day. The new air offensive over Libya and the addition of Cobras to the fight all come less than a month after the arrival of Marine Gen. Thomas Waldhauser as the new commander of AFRICOM and may signal a more aggressive approach for the command under his leadership. The 22nd MEU deployed aboard the Wasp Amphibious Ready Group in late June -- the first extended deployment since 2004 for the Wasp, which at 27 is the oldest ship in her class. A sting operation by the US Department of Homeland Security has netted one California woman a 50-month sojourn in prison after she was found guilty of trying to break the US Arms Export Control Act. Man, a computer science graduate, worked with her husband running a mobile phone components business, and investigators were tipped off by a third party that she was looking for classified military hardware. Over a nine-month period, an undercover agent exchanged a series of emails and text messages about her plans, pretending he could source the materials. A high-ranking North Korean diplomat, who defected with his wife and children in London, and is now in South Korea, is from a privileged family with a long revolutionary pedigree in North Korean politics. South Korea’s Ministry of Unification confirmed on Wednesday that Thae Yong-Ho, the second-in-command at the North Korean embassy in the United Kingdom, had defected with his wife and children and had been given political asylum in South Korea. As intelNews reported earlier this week, Thae, a senior career diplomat believed to be one of North Korea’s foremost experts on Western Europe, had disappeared with his family and was presumed to have defected “to a third country”. New information has since emerged on Thae and his family, confirming that both he and his wife are members of North Korea’s privileged elite, with decades-old connections to the ruling Workers’ Party of Korea. According to the Seoul-based JoongAng Daily, Thae’s wife, O Hye-Son, is a niece of the late O Peak-Ryong, a decorated communist guerrilla who fought Korea’s Japanese colonialists in the 1930s. O, who died in the 1980s, joined the Korean anti-Japanese struggle alongside Kim Il-Sung, founder of the Workers’ Party of Korea and first leader of North Korea. This means that O Hye-Son is also the cousin of O Peak-Ryong’s son, General O Kum-Chol, who is currently vice chairman of the General Staff of the Korean People’s Army. Thae himself is the son of Thae Pyong-Ryol, a four-star general who also fought against the Japanese in the 1930s, alongside Kim Il-Sung. In the postwar period, General Thae became a senior member of the Workers’ Party of Korea and was appointed to the Party’s powerful Central Committee. He died in 1997. JoongAng Daily quoted an unnamed “source familiar with the matter” of Thae’s defection, who said that the diplomat’s loyalty to the North Korean leadership had been unquestioned prior to his surprise defection. Most North Korean diplomats are posted at an embassy abroad for a maximum of three years before being moved elsewhere in the world. The fact that Thae had been allowed to remain in the United Kingdom for 10 years shows his privileged status within the Workers’ Party of Korea, said the source. Additionally, the children or most North Korean diplomats are required to return to their native country after completing high school. But this did not seem to apply to Thae, whose three children were living with him in Britain even after graduating from university. This and many other clues reflect Thae’s “impeccable credentials”, said the source, which made him one of the most trusted government officials in the regime’s bureaucratic arsenal. It is believed that Thae defected because he had been told that his tenure in London was coming to an end after a decade, and he would have to relocate to a less desirable location, or possibly recalled back to Pyongyang. Defections among North Korea’s privileged elite are rare, but have been happening increasingly frequently in the past few years. This makes some observers believe that disillusionment among Supreme Leader Kim Jong-Un’ inner circle is growing and that the North Korean regime is becoming weaker. Lithuania is touting its bilateral military partnership with the Netherland, which has resulted in the procurement of surplus military vehicles. Over the past six months, Lithuania has received about 200 combat and medium-lift Mercedes-Benz GD vehicles, trucks and other military vehicles from the Netherlands to supplement and update the Baltic country's military fleet. The vehicles were delivered in several phases and more equipment is scheduled for delivery this year and next under the $7.89 million deal. "This is the second military equipment procurement contract between Lithuania and the Netherlands," Lithuania's Ministry of National Defense said. "In 2012-2013 the Lithuanian Armed Forces bought vehicles, communications containers and airport service equipment (to replace outdated and not cost-efficient equipment then used in the Lithuanian Armed Forces) from the Netherlands Armed Forces for a good price." Lithuanian Minister of National Defense Juozas Olekas and Ambassador of the Kingdom of the Netherlands in Lithuania Bert van der Lingen were meeting in the country Thursday to celebrate the successful cooperation between the two countries and future cooperation. In the latest Assynt Report, Stirling Assynt examines the rising risk to Egypt posed by Islamic State-affiliated Ansar Jerusalem. Egypt’s Army said that it killed the leader of Islamic State (IS)-affiliated Ansar Jerusalem (AJ) group and 45 other militants near the capital of the North Sinai Governorate, al-Arish, on 4 August. The group confirmed his death on 18 August. As this demonstrates, the Government’s security operations in Sinai continue to undermine AJ’s capabilities and significantly constrain its ability to strike at either civilian or military targets, with several attacks on checkpoints in North Sinai failing to cause significant casualties in recent weeks. However, the authorities’ ongoing efforts to weaken AJ in the Sinai are likely to only diminish the group temporarily. AJ has a long history of operating on the peninsula, and its strong relationships with local tribes will ensure that it remains a dominant presence. Moreover, security force operations will continue to fuel grievances among local communities in the Sinai, for instance over the lack of economic opportunities, in ways that feed AJ’s insurgency. For example, residents in the North Sinai cities of Rafah and Sheikh Zuwaid complained on 13 August that up to 80,000 people were “under siege” due to a military blockade which had prevented food and medicine reaching the town for five days. In addition, the Army is unlikely to be able to maintain its current surge given the Government’s fiscal challenges, and so AJ will rebuild its capabilities once military operations draw down. The threat of attacks targeting security forces, and to a lesser extent Westerners, will then increase as AJ seeks to demonstrate its continued strength and respond to the offensive against it. In addition, the death of AJ’s leader raises the possibility of the group seeking to carry out a high profile attack in the coming weeks to take revenge for his death and to demonstrate that the group remains capable. Stirling Assynt is a global intelligence network headquartered in London and run by a team of professionals with significant government and commercial sector experience. The Assynt Report offers a predictive, analytical political and security risk briefing service, based on up-to-the-minute monitoring of both open and commercial information sources, including unrivalled reporting on jihadists movements around the world. Italy has expelled a second imam within a week as it seeks to prevent extremist preachers from radicalizing others. Interior Minister Angelino Alfano announced the expulsion of Khairredine Romdhane Ben Chedli on Thursday. The 35-year-old Tunisian was recently absolved of terrorism-related charges by Italy's highest court but Alfano said his support for jihad rendered him unfit to stay, the ANSA news agency reported. The Interior Ministry announced Aug. 13 the expulsion of another imam arrested in the same 2013 sweep as Ben Chedli. The two expulsions bring the number of suspected extremists kicked out of Italy in 2016 to 44, with another 110 expelled last year. Alfano has defended the expulsions but has rejected other measures, such as banning burkinis as some French mayors have done, as overly provocative. The U.S.-led military coalition against the Islamic State in Iraq and Syria has killed about 45,000 ISIS fighters in the last two years, its commander said Wednesday. Army Lt. Gen. Sean MacFarland, commander of the task force overseeing the war, said since he took over last September, about 25,000 ISIS fighters have been killed. "When you add that to the 20,000 estimated killed prior to our arrival, that's 45,000 enemies taken off the battlefield," he said during a Pentagon briefing. The U.S. military has typically declined to give the number of enemy dead, to avoid the Vietnam War practice of using "body counts" as misleading measures of success. However, MacFarland, who is wrapping up his 11-month tour in Baghdad, added, "I only tell you this number to provide a sense to the scale of our support and perhaps explain why enemy resistance is beginning to crumble." The three-star general said ISIS's frontline fighters are diminishing in quantity as well as quality, and are easier to kill. "We don't see them operating nearly as effectively as they have in the past, which makes them even easier targets for us so as a result they're attrition has accelerated here of late," he said. ISIS has taken a lot of their "administrative folks" and pushed them out to the front lines, he added. "So there is a cumulative effect, I think, that is really accelerating in our favor and against the enemy," he said. MacFarland said he's seen estimates of between 15,000 to 30,000 ISIS fighters remaining, but declined to give a more specific number. He also said the coalition has helped Iraqi forces gain back 25,000 square kilometers from ISIS in Iraq and Syria -- nearly half of what ISIS controlled in Iraq and 20 percent of what they controlled in Syria. The coalition has also conducted about 50,000 sorties against ISIS in the past year, which include 200 against oil and natural gas activities, more than 640 oil tankers, and other critical gas and oil facilities, he said. The strikes have reduced ISIS's oil revenue stream by 50 percent, he said. The coalition has also hit more than 25 bulk cash sites, destroying at least a half billion dollars, he added. The coalition has also taken out leadership, command and control and weapons manufacturing capability, he said. He also noted the deaths of three U.S. service members. "Sadly, success has not come without cost. We lost three great Americans during our time here; Army Master Sergeant Josh Wheeler, Marine Corps Staff Sergeant Louis Cardin, and a Navy Petty Officer First Class Charles Keating," he said. Iraqi and Kurdish forces have suffered from hundreds of casualties, too, he said. MacFarland said ISIS "is in retreat on all fronts," with the turning point being the recapture of Ramadi from the group in December. The coalition is now training Iraqi military and police forces to retake Mosul, and hold it afterwards. The city is Iraq's second largest, with about a million residents, and has been an ISIS stronghold since June 2014. MacFarland said the coalition has trained more than 13,500 Iraqi forces, including more than 4,000 army soldiers, 1,500 elite forces, 6,000 Kurdish peshmerga and almost 1,000 federal police and 300 border guards. It has also trained about 5,000 local police and enrolled over 20,000 tribal fighters, he added. MacFarland said he is "100 percent certain" that ISIS will be "eliminated as a governing entity in Iraq and Syria." After retaking Mosul, there would be only "scattered pockets" of resistance in Iraq. In Syria, the fight is focused on retaking ISIS's stronghold of Raqqa, he said. Coalition-backed Syrian Democratic Forces are close to retaking Manbij, a strategic node where ISIS takes in foreign fighters and facilitates attacks outside of Iraq and Syria, he said. However, he noted, "Military success in Iraq and Syria will not necessarily mean the end of Daesh," he said, using the Arabic acronym for ISIS. "We can expect the enemy to adapt, to morph into a true insurgent force and terrorist organization capable of horrific attacks like the one here on July 3rd in Baghdad and those others we've seen around the world," he said. A Mississippi woman who once sought to disguise a planned journey to join the Islamic State of Iraq and Syria (ISIS) as her honeymoon was sentenced by a federal judge Thursday to 12 years in prison on a terrorism charge. Vicksburg native Jaelyn Young broke down in heavy sobs during her sentencing by U.S. District Judge Sharion Aycock. Young pleaded guilty in March to one count of conspiring to provide material support to a terrorist organization. Young had faced up to 20 years in prison. Her parents pleaded for leniency at Thursday's hearing. Young, amid sobs, said she was ashamed of her actions. Her fiance, Muhammad Dakhlalla, pleaded guilty March 11 to a similar charge and is set to be sentenced Aug. 24. Prosecutors have said Young, who converted to Islam while studying at Mississippi State University, had prodded Dakhlalla into the plan. The two were arrested in 2015 before boarding a flight from Columbus, Mississippi, with tickets for Istanbul, Turkey. "I found the contacts, made arrangements, planned the departure," Young had written in a farewell letter to her family. "I am guilty of what you soon will find out." Young and Dakhlalla were among a number of people arrested around the country for ISIS sympathies. Like many, authorities said, they had developed views supporting ISIS in part by watching online videos and were arrested after social media posts attracted the attention of the FBI. The daughter of a school administrator and a police officer who served in the Navy reserve, Young is a former honor student, cheerleader and homecoming maid at Vicksburg's Warren Central High School. The two were arrested in August 2015 before they could board the flight from Mississippi with tickets for Istanbul purchased using her mother's credit card without permission, according to court records. 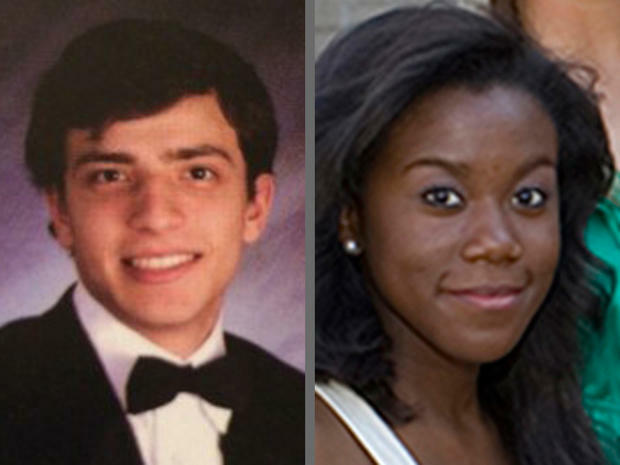 Authorities said the couple had contacted undercover federal agents in May, seeking online help in traveling to Syria. Both remained jailed in Oxford since their arrests. Court papers say Young announced her conversion in March 2015 and began wearing a burqa, a garment worn by some Muslim women to cover their face and body. "After her conversion, Young distanced herself from family and friends and felt spending time with non-Muslims would be a bad influence," prosecutors wrote. A court statement said Young increasingly complained about the treatment of Muslims in the United States and United Kingdom. Prosecutors said that, after watching videos included pro-ISIS messages from a British Muslim preacher who faces criminal charges of supporting the group - she began to view the fighters as liberators. "Young continually asked Dakhlalla when they were going to join (ISIS) and began to express hatred for the U.S. government and to express support for the implementation of Sharia law in the United States," prosecutors wrote. By May 2015, she had begun seeking advice online on how to travel to Syria, eventually making contact with undercover FBI employees, according to prosecutors. Young told the undercover FBI employees that she and Dakhlalla would like to be medics treating the wounded. Dakhlalla, in online contacts, said he was good with computers and media and wanted to contribute to ISIS' struggle. Court papers say Dakhlalla said online that he wanted to become a fighter and learn "what it really means to have that heart in battle." At one point, Young said she planned to camouflage the couple's journey as a honeymoon, but later dropped that idea. The leader of Islamic State's branch in Afghanistan and Pakistan has been killed in a U.S. drone strike, the Afghan ambassador to Pakistan said on Friday, though the American military said it could not confirm that. If true, the death of Hafiz Saeed Khan would strike a blow to efforts by Middle East-based Islamic State - also known as ISIS and Daesh - to expand its control over territory and its jihadist brand into Afghanistan and Pakistan. It would also mark the second U.S. killing of a prominent militant in the region within months. In May, a U.S. drone killed Afghan Taliban leader Mullah Akhtar Mansour in a strike in Pakistan. Islamic State this week took credit for an attack on a hospital that killed at least 74 people in the Pakistani city of Quetta. A Pakistani Taliban faction also claimed responsibility. Khan has been reported dead before. Last year, Afghan intelligence agents claimed he had been killed, but the report was never confirmed. On Friday, Afghan Ambassador Omar Zakhilwal told Reuters he had seen confirmation from Afghan security forces on Khan's death. "I can confirm that ISIS Khurasan (Afghanistan and Pakistan) leader Hafiz Saeed Khan along with his senior commanders and fighters died in a U.S. drone strike on July 26 in Kot district of Afghanistan's Nangharhar province," he said. U.S. military spokesman Colonel Michael Lawhorn said American forces in Afghanistan "are aware of those reports and we are looking into it" but have not yet confirmed Khan's death. Islamic State also claimed responsibility for an attack on a rally in Kabul in July, which killed more than 80 people. Afghan forces, backed by the American military, killed an estimated 300 Islamic State fighters in an operation mounted two weeks ago, the top U.S. and NATO commander in Afghanistan said on Wednesday, calling it a severe blow to the group. Russia plans to build a full-scale military airbase and to deploy a permanent contingent of aircrafts in Syria, Izvestia newspaper reported on Wednesday. The paper’s source at the Russian Ministry of Defense confirmed the existing infrastructure of Khmeimim—Russia’s current air base in Syria—will be expanded substantially, enabling the deployment of heavy aircrafts from Khmeimim in the near future. Khmeimim will be surrounded by ramparts to protect against enemy fire and bombing. The base will be outfitted with new radio-technical equipment—including an air traffic control system—and a full-fledged military town for the Russian troops stationed there. The Russian Defense Ministry source told Izvestia that, although Khmeimim’s expansion has been planned since the end of 2015, the deal wasn’t official until two days ago. Last Tuesday, Moscow and Damascus signed an agreement giving Khmeimim to Russia in perpetuity, free of charge and out of the jurisdiction of the Syrian government. Russian experts believe their military presence will benefit the region, despite some inevitable pushback from nearby Arab monarchies. According to the source, blueprints of the new Khmeimim include a loading dock for Antonov An-124 Ruslan heavy military transport aircrafts. The words ‘on a permanent basis’ were immediately emphasized by the media. “Russia Will Not Deploy at Khmeimim Nuclear Weapons on a Permanent Basis” read a RIA Novosti headline. Nurhan el-Sheikh, a Cairo University professor and member of the Egyptian Council for Foreign Affairs (ECFA), admitted to the newspaper that Saudi Arabia and other Gulf countries have been unhappy with Putin’s decision to maintain a presence in Syria—they have their own vision for the future, which Russia is violating. Meanwhile, the additional ‘surprise’ from the Russian president regarding the possible deployment of Russian nukes from Khmeimim—albeit on a ‘rotational basis’—will no doubt be met with zero enthusiasm by all regional players. Tensions in occupied Crimea are escalating as Russia accused Ukraine of plotting “terror attacks” after an alleged shootout that broke out in Armiansk on August 7 and dropped out of Minsk negotiations. 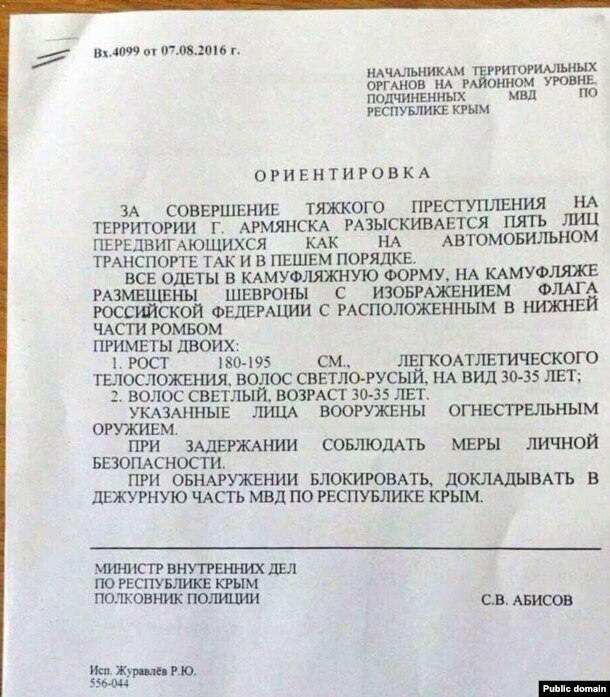 As more and more evidence appears that the accusations are fabricated, serving as a reason to intensify repressions in Crimea, a peculiar post in Russian social media suggests that the shootout was an internal one between the Russian army contractors in occupied Crimea – a finding with which the Ukrainian military intelligence concurs. The gunfire at the border administration of occupied Crimea [on August 7] was staged by drunken military contractors rather than “Ukrainian saboteurs” – so says Eduard Zhuravlev, the former advisor to “Governor” of occupied Sevastopol Sergey Menyaylo, on his Facebook page. “With regards what really happened at yesterday’s border skirmish. The game continues. 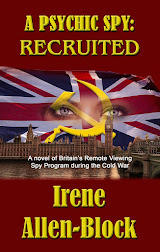 Somehow at the intuitive level I more and more agree with the version that the military contractors, overheated in the sun and with too much liquor, fired on their comrades and went out with weapons illegally,” he wrote. “This is because we now see that Sevastopol is the most ungrateful city in Russia and spreads the same disease that infects Kyiv. A terrible spiritual sickness worse than physical ill health,” was Matveychev’s diagnosis. This same Eduard Zhuravlev had already earned a bad reputation among the opposition in his native Russian city of Yekaterinburg. Zhuravlev’s party ally Feliks Rivkin, member of the regional council of the Russian opposition party RPR-PARNAS, accused his former party colleague of accepting a bribe to help Putin’s Yedinaya Rossiya Party against the Yabloko Party. “Zhuravlev is a failed Yedinaya Rossiya member, although he has a Yedinaya Rossiya mentality… I think that if I were stood against the wall and he were in the firing squad, he would pull the trigger with no hesitation,” noted Rivkin at the time. Germany's domestic intelligence agency says it has recorded hundreds of attempts by radical Islamists to recruit immigrants hosted in the country's refugee centres. "We know of more than 340 incidences," the head of Germany's Federal Office for the Protection of the Constitution, Hans-Georg Maassen, told dpa. "But these are only the cases known to us. Presumably there are even more." Workers at German refugee centres have already been made aware of the situation, Maassen said. "It worries us that Salafists and other Islamists are promoting their cause in asylum centres," Maassen said, referring to an ultra-conservative reform movement within Sunni Islam. "We know that there are very many young men of the Sunni denomination among asylum seekers. These often come from a conservative Islamic background and want to go to an Arabic-speaking mosque every Friday," the intelligence agency chief said, noting that there were also numerous radical Salafist mosques in Germany. "Arabic-speaking mosques in Germany are not regulated. From the perspective of the state, there is very little we can influence," Maassen said. Maassen said that Islamist-motivated attacks had also taken place before a recent spate of violence in the past month in Germany, and that a policeman in the city of Hanover as well as a Sikh temple in Essen had also been targeted. "The lesson to learn from this is that we should not concentrate only on Islamic State, which may be sending terrorist units to Europe, as with Paris or Brussels," Maassen said. "Instead it could be that individuals that are radicalized on their own or are given orders." A tip from the FBI triggered what Canadian police on Thursday called a “race against time” as police scrambled to identify and locate a balaclava-wearing would-be suicide bomber they feared was on the verge of committing a terror attack in Canada. Aaron Driver, a Canadian man previously banned from associating with Islamic State extremists, prepared a martyrdom video and was about to commit a terrorist attack but was killed Wednesday after he detonated his explosive device in a taxi and was shot at by officers who say they thwarted the plot. Police say they were tipped off by the American authorities, who provided a screenshot of the masked suspect threatening a terror attack early Wednesday, police said. The suspect planned to carry out a suicide bombing in a public area in an urban center during rush hour, Royal Canadian Mounted Police Deputy Commander Mike Cabana said. He identified the suspect as Driver, 24, originally from Winnipeg, Manitoba. RCMP Commander Jennifer Strachan said Driver was intercepted by police as he entered a taxi with a backpack and said Driver detonated an explosive device, injuring himself and the taxi driver, before police shot at him. It was unclear whether Driver died as a result of the shrapnel or a police bullet. After being tipped off by the FBI, Canadian police worked furiously to find out who it was. Police said Driver was quickly identified as the person in the so-called martyrdom video and that he planned an attack within 72 hours. “It was a race against time,” Cabana said. In the video, aired during a news conference in Ottawa, a masked Driver is seen railing against Western “enemies of Islam” and warning that the only solution would be the “spilling of your blood.”He pledges allegiance to Abu Bakr al-Baghdadi, the Islamic State leader, and threatens an attack against Canada. Driver had been under the spotlight for at least a year, as authorities believed he was a threat because he could help terror groups. He gave a media interview in which he expressed support for prior terror attacks in Canada and expressed interest in traveling to join the Islamic State. But Driver, who was living with his sister, was not under surveillance at the time. “If he had gotten out of that residence before we got there, the scenario would have ended a lot differently. I’m positive of that,” Strachan said. Transit agencies in Toronto, Canada’s largest city, were warned of a security threat before police confronted the suspect. Brad Ross, spokesman for the Toronto Transit Commission, said the agency was made aware of a terror threat investigation early the previous day, but noted that it had no specifics attached. He said that as a precaution, a “vigilance notice” was issued to all staff, encouraging them to speak up if they saw something of concern. Regional transit lines were also advised of a security threat. “This case is an example of the strong cross-border law enforcement cooperation that exists between Canada and the United States. Our partnership reflects our joint commitment to protecting the safety of our citizens,” US Ambassador to Canada Bruce Heyman said in a statement. Canadian police applied for the peace bond, which can impose limits on a person’s activities, alleging in provincial court documents that investigators believed Driver might help with terrorist group activities. He said the RCMP, the Canadian Security Intelligence Service and other police and security agencies were involved in the operation. He also said the national terrorism threat level for Canada remains at “medium,” where it has stood since the fall of 2014. Coalition forces, including American military operatives, killed a senior ISIS leader when conducting an operation on the Iraqi-Syrian border Wednesday, officials said. Killed was Sami Jassim Mohammed Al-Jabouri, known by the nom de guerre Haji Hamad, said the Kurdistan Region Security Council. His reported death is the latest victory in the coalition's ongoing fight against the terrorist organization's financial staying power. Jabouri was responsible for ISIS operations regarding natural resources in Iraq and Syria. He and an aide were killed in the operation. The United States has not verified Jabouri was the man killed in the mission but verified he was a key figure in ISIS oil operations. All coalition forces returned safely, the Kurdish statement said. A US defense official confirmed to CNN an operation against an ISIS target and said it was coordinated with the Iraq government and the Kurdistan Regional Government forces. The Pentagon's secret expeditionary targeting force conducted a mission Thursday to capture an ISIS operative, according to the defense official. It appears the man the team went after may have killed himself rather than be captured, but that has not been verified, the official said. ETF operations are conducted by US special operations forces and rarely acknowledged openly. But this time officials acknowledged the operation took place after the Kurds disclosed it. Jabouri was a key figure in ISIS oil operations. But the official said the mission was to capture an individual for intelligence reasons. "We are assessing the results of the operation and will provide additional information as and when appropriate," the US official said. The mission took place near Qaim near the Iraqi-Syrian border, where there is an ISIS presence, the official said. 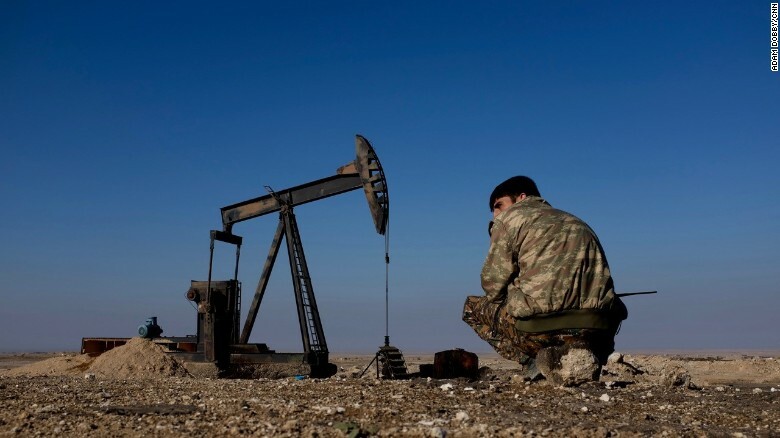 The Kurds have been battling with ISIS over control of oil fields. Less than two weeks ago, Kurdish forces repelled an ISIS hostage taking at an oil field near the northern Iraqi city of Kirkuk. Kurds killed the attackers and freed the hostages, according to witnesses. The Khabbaz oil field produces around 20,000 barrels of oil per day and is situated between areas disputed by opposing fighters from the Iraqi Kurdish Peshmerga forces and ISIS. The standoff was the second armed attack on an energy facility in the Kirkuk region Sunday, after an earlier deadly attack on a nearby gas compression facility owned by the same company. Four staff members were killed and another was injured during that attack on the gas facility, known as AB, in the Bajwan area in northwestern Kirkuk, police Gen. Sarhad Qader said. Meanwhile, US forces have been striking ISIS targets in Libya to further erode its territorial potential natural resources gains in north Africa. U.S. Special Forces and surveillance flights are operating on the ground and over Libya as the West moves to boost security operations in the country to bolster Libya's increasingly desperate fight against ISIS. It has been getting hard for ISIS to finance its war machine due to its shrinking territory and crippled oil business. By April of this year, ISIS' monthly revenue had fallen by 30% -- down from an estimated $80 million a month in mid-2015. ISIS has ceded more than 22% of its territory to Kurdish, Syrian and Iraqi forces over the past 19 months, according to IHS. During that time, the population living under ISIS rule has fallen from 9 million to 6 million. To offset those losses ISIS has halved its fighters' salaries, increased taxes and fees for people remaining under its control and resorted more to such tactics as kidnapping for ransoms and smuggling stolen archeological artifacts. SIS is so strapped for cash it has also started giving people accused of violating Sharia law the option of paying a cash fine instead of suffering severe physical punishments, reports IHS, which monitors the conflict.